Although there are many uncertainties surrounding the issue of marijuana law reform, there are some things we can be absolutely certain of. Federal-level reform is a must in the U.S.; that is one certainty. Another certainty is that 2019 is the best year yet to actually accomplish federal cannabis law reform. Without a change in federal law, whatever states do in regards to changing cannabis policy will always be in imminent danger. Lawmakers will always use federal law as an excuse to do as little as possible. Fortunately there is a group of stalwarts in the U.S. Congress that fight for progress on the marijuana law reform front. The Congressional Cannabis Caucus lost a couple of founding members with the departures of Dana Rohrabacher (R-CA) and Jared Polis (D-CO) from the House of Representatives, but added new blood with the addition of Representatives Barbara Lee (D-CA) and David Joyce (R-OH). 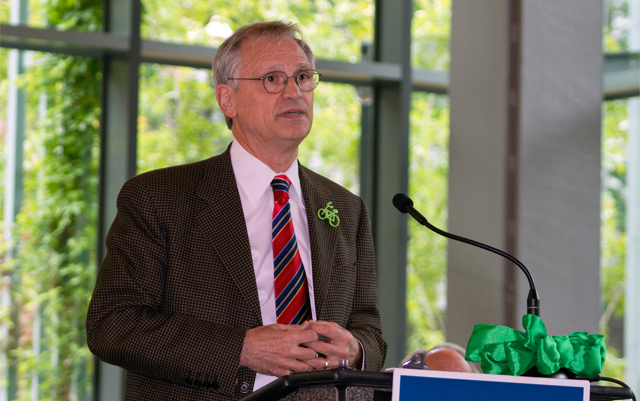 Rep. Blumenauer – with the help of NORML – has made it easy for you to send a letter to your Representative that urges them to join the Cannabis Caucus. NORML and the Oregon Representative have also collaborated on several events designed to spread knowledge about cannabis. Getting back to certainties, here’s another one: things move quickly when it comes to who holds power in Washington D.C. Every opportunity to advance cannabis legislation must be seized, and 2019 is a year that a lot can get done.